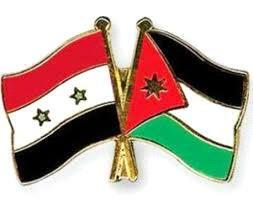 AMMONNEWS - A Jordanian parliamentary delegation currently visiting Damascus met with Syrian Transport Minister Ali Humoud to look into prospects of activating freight shipping and transit movement agreements between the two countries. "The minister pledged to look into the possibility of cutting by half fees on goods exchanged between Jordan and Lebanon through Syrian territory, and forming a joint committee to address this matter", said MP Tariq Khoury, Chairman of the Lower House's Jordanian-Syrian Brotherhood Committee. The Syrian minister commended the committee's efforts to advance relations between the two neighbouring countries. The meeting also dealt with a number of issues, including opening Syrian airspace to flights, which would benefit both sides, as well as extending operating time at the Nasib Crossing on their common border by two hours.